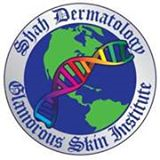 I had an awesome experience at Shah Dermatology. Dr. Ayyaz Shah and his staff are first class, treated me so kindly. This is where I will be sending all of my family and friends. I consulted Dr. Ayyaz Shah for excess unwanted facial hair. I had poor results with laser from a previous doctor's office. After visiting multiple dermatologists, I finally learned about Dr. Ayyaz and his practice. I consulted him and he advised me to use a special topical cream that if used for 6 months can stop hair re-growth. It has now been eight months and I do not have to shave, pluck, wax or tweeze as I have no hair re-growth. Just amazing! It was refreshing to visit Dr. Ayyaz Shah. I consulted him regarding my hyperhydrosis of hands, feet and axillary area. He was extremely thorough and explained all of the treatment options available to me including a very detailed explanation of how Botox injections are also a very useful alternative option available to treat this very frustrating condition. A truly gifted Dermatologist. Beautiful location, nice staff. Excellent Doctor, highly recommend.